Today we’d like to introduce you to Rocco Buttliere. Rocco, can you briefly walk us through your story – how you started and how you got to where you are today. I, like most people nowadays, had played with LEGO from a very young age. While I don’t remember a time before I had some bricks in my hands, I do recall that my very first set was the Harry Potter “Chamber of Winged Keys” from 2001, which I received as a prize for selling Cub Scout popcorn. Growing up watching Harry Potter naturally meant that I strove to collect all the tie-in LEGO sets for each movie. After a while, I started to build my own versions of Hogwarts from all the pieces I had amassed over the years, and that’s when I first started to look beyond the instruction manuals. 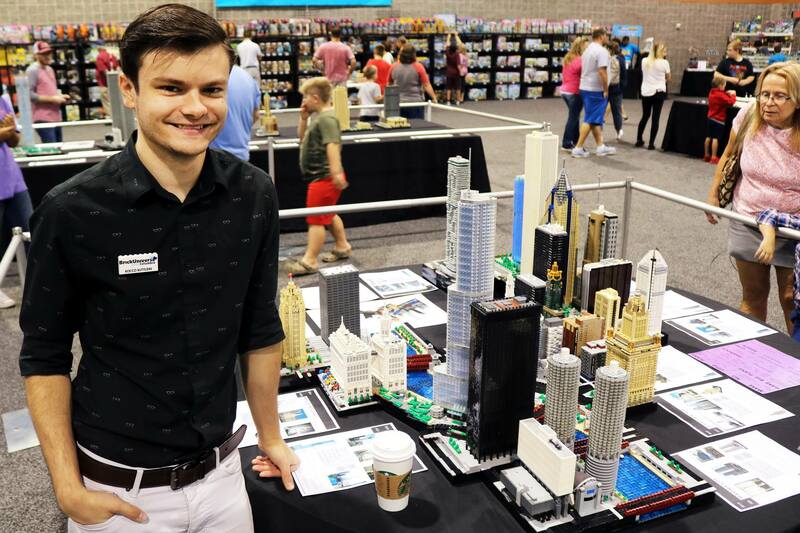 Having grown up just outside Chicago, I had always been fascinated by the buildings of the city’s iconic skyline and, upon the introduction of the LEGO Modular Buildings line in 2007, began to aspire to study architecture. In the meantime, though, I had just entered high school and had plenty of time to begin expressing my creative urges. 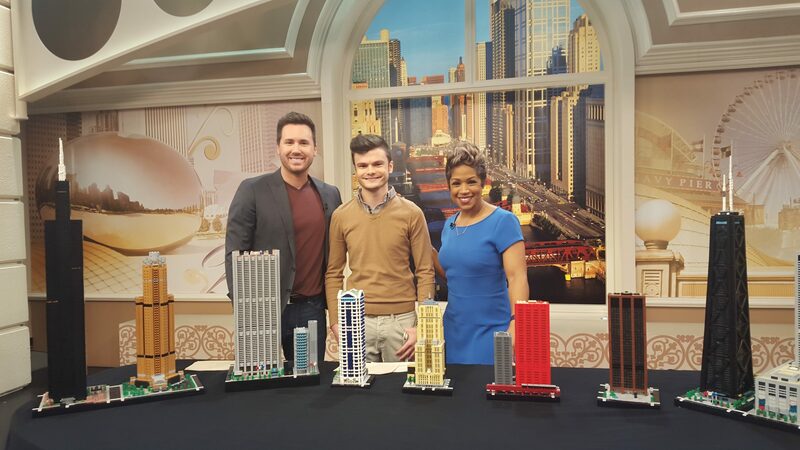 As a result, I combined my burgeoning love of architecture with my lifelong love of the LEGO brick, and built my first model of Willis Tower at 1:650 scale in 2009. Two more models followed that year, then four the next year, and so on until I had my first public display at the yearly Brickworld Chicago convention in 2011. With Brickworld as my yearly benchmark, I continued to expand my body of work of world landmarks, always maintaining a consistent 1:650 scale. After graduating from Buffalo Grove High School in 2012, I began studying at Illinois Institute of Technology, pursuing an architecture degree in their five-year program. Of course, I wasn’t about to leave my LEGO behind, because living in the city meant that inspiration was more likely to strike at any time! 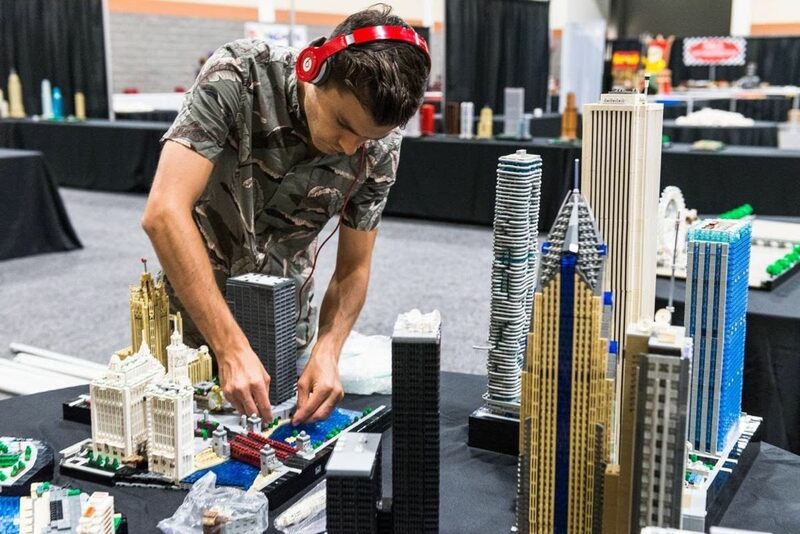 After three years into my studies, I found myself back at Brickworld Chicago for the fifth time, with about forty models on display. 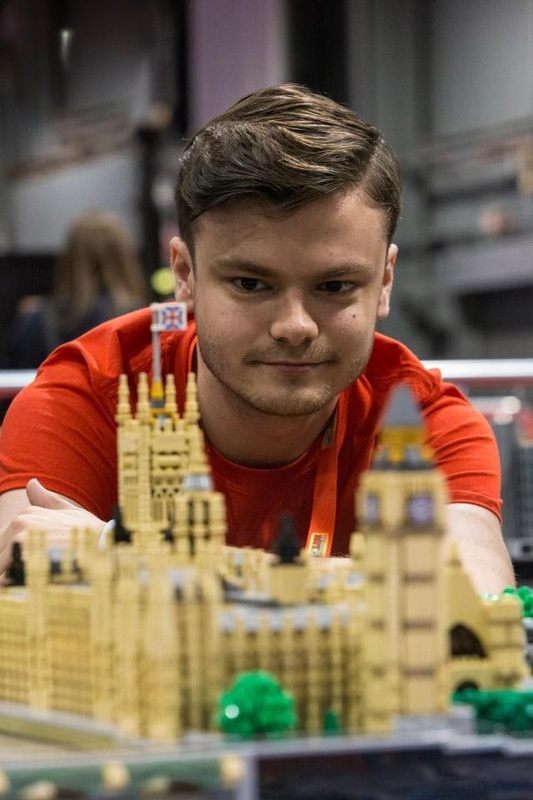 It seemed like business as usual for a casual LEGO hobbyist, until I was approached by the organizer of the BrickUniverse events (which take place across the US) and then by the organizer of the BRICK event in London; both on the same day and both interested in having all my models at their events. To say I had no idea what I was getting myself into would be the biggest understatement of my life! 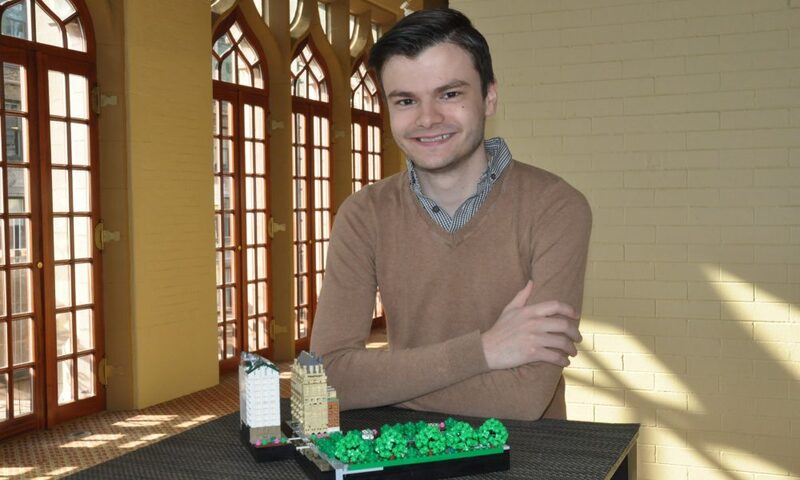 Since then, I’ve completed my degree in architecture, exhibited at twenty-two BrickUniverse events, five overseas events, and am currently working toward building my own commission and exhibition-based business. I’ve had to face numerous challenges along the way, both creatively and professionally. It’s not hard to remember a few difficult moments in high school when my hobby was not taken seriously. College, however, was a total one-eighty, as you might expect from a tech school like IIT. I had professors calling me out in class because they had seen one of my models published in RedEye or DNAInfo. Not to mention my close friends who barely gave the models and parts sorting units a second glance in my dorm room, so that was always endearing and reassuring! After my 2015 turning point, the transition from being a LEGO hobbyist to pursuing my work as a full-time LEGO artist has been one of the most challenging things I’ve ever done. It’s not something I think I can totally weigh in on considering I’m still very much working on making it sustainable. But I can say, with much more surety that it wouldn’t be happening without the chance encounters and exceptionally supportive atmosphere of the LEGO fan community. I never take for granted how much I owe my fellow builders and fellow professionals, whether it’s inspiration taken from a seemingly obscure parts usage in someone’s model, or a bed to crash in while I’m in Scotland or Denmark! The body of work I’ve been building since 2009 is titled Landmark | Landscape. Since I started making 1:650 models of various landmarks, I’ve always gone the extra mile and modeled them on bases which are actually representative of their surroundings, or landscape. This idea has only been reinforced through my architecture studies because I’ve always felt that a model with a real setting has much more of an authentic story to tell than a model without such considerations. 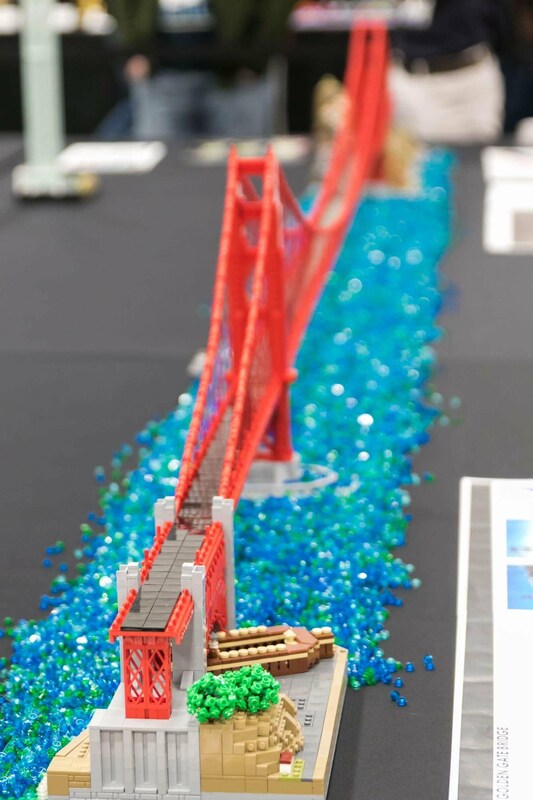 The surrounding hillsides of Marin County in my Golden Gate Bridge model, for instance, not only enhance the overall realism, but also challenged me as a designer to effectively capture something radically different than a typical urban environment. Speaking of the Golden Gate Bridge, I set out to make this model using an actual cable suspension structural system. While all my models up to that point in 2017 had been strictly visual representations of their real-world counterparts, this model was my first attempt to capture the structure as well as the aesthetic. I think that extra effort continues to pay off since it allows me to show and teach members of the public at exhibitions how such a feat of engineering actually works. The educational aspect of what I do is also something I try to stress. 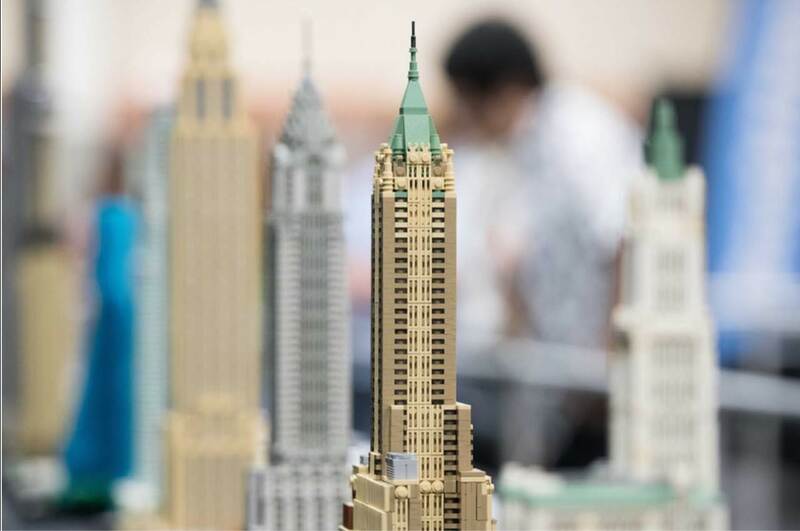 I’ll arrange my models of the Twin Towers, Empire State Building, Chrysler Building, 40 Wall Street and Woolworth Building all in descending order on my tables at exhibitions because they’re each consecutive world’s tallest building titleholders. 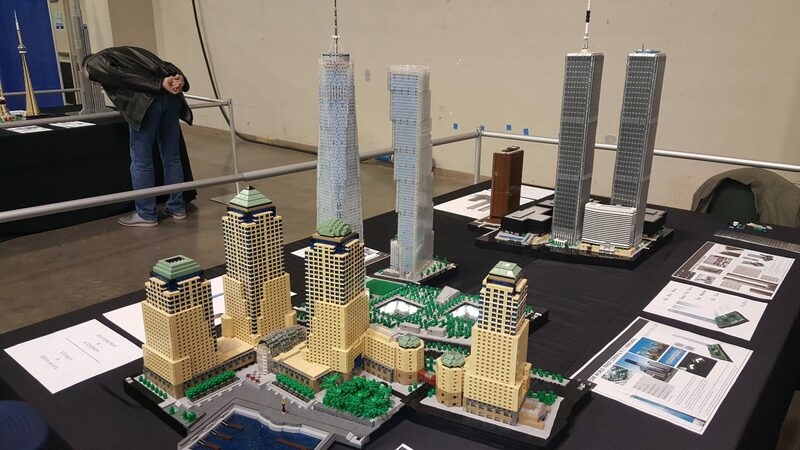 I always position my One World Trade Center and 9/11 Memorial model relative to my model of the original WTC complex because I often see parents pointing out the past and present moments in time to their younger kids. The effort I’m most proud of, however, is my continually expanding layout of downtown Chicago. Guessing I’m a Windy City native is never difficult for the public at any of my exhibitions since half the models in my body of work are all Chicago landmarks! And half of those Chicago models are all part of a contiguous, geographically-accurate layout of the city. This one layout consists of more than 70,000 pieces and is the result of about six years’ worth of individual models all coming together in their respective locations. It comprises about 3.5 million square feet of the city, from the edge of Millennium Park along Randolph Street, to Tribune Tower on Michigan Avenue, and everything from Marina City to Aqua in between. As a freelance artist, though, my work is never done and my dream vision is to one day have everything from the Museum Campus to North Avenue Beach. Part of this goal is to find a permanent venue for this 2-3 million piece layout somewhere in the city, as well as sponsors willing to contribute to my lofty vision. Speaking as someone with an architecture background, I think living, studying and working in Chicago has been incredibly critical to my artistic and professional growth. Not only is the inspiration from the built environment boundless, I’d also argue the potential for business growth is just as present. I still have many steps to take and equally challenges to overcome, but I doubt I’d be in nearly the same position I am today if it weren’t for living in this city.